Is Now the Time to Buy Gold and Silver for a Short Term Bounce? Gold and silver crashed yesterday, particularly silver. Silver’s crash is particularly large. Silver immediately fell more than 3.5 standard deviations below its 20 daily moving average. To put this into context, this has only happened 12 times (including yesterday) in the past 45 years. So should you buy gold or silver for a short term bullish play right now? 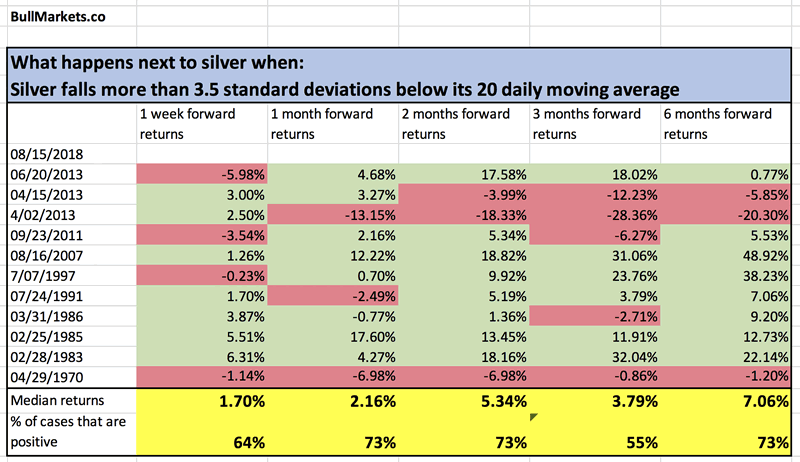 Here’s what happens next to silver when it falls more than 3.5 standard deviations below its 20 daily moving average. 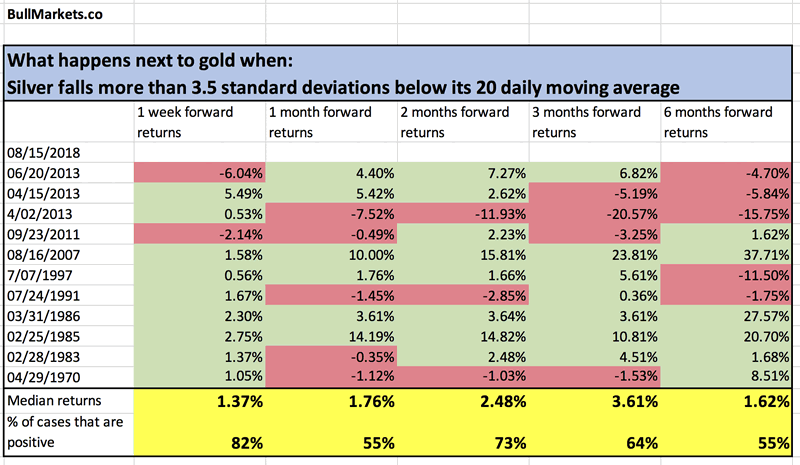 Here’s what happens next to gold when silver falls more than 3.5 standard deviations below its 20 daily moving average. As you can see, gold and silver tend to make a short term bounce when silver makes a crash of this magnitude. Treat this as a short term play instead of a medium term play.